There are 183 posts filed in Random (this is page 1 of 46). What do you think? They totally had the same barber. 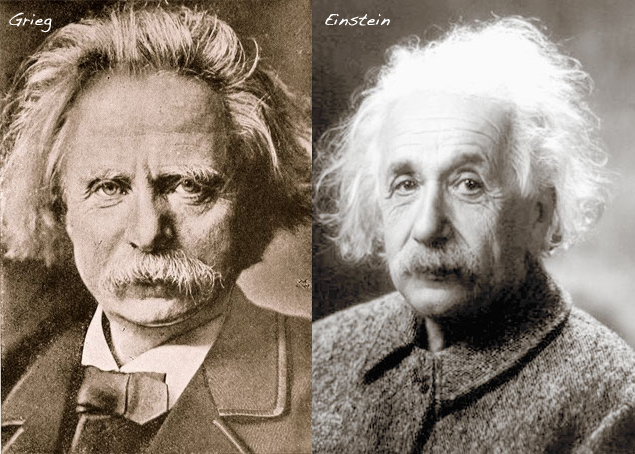 Edvard Grieg on the left, and Albert Einstein on the right. Recently I was doing some work with logos (business cards, desktop backgrounds, etc) for my product. As I was working away, I would periodically save the files to my DropBox. For those who aren’t familiar with Dropbox, it’s an online storage/syncing utility that will make your life much easier (you can thank me later). You see, I’ve been saving files to my DropBox for a few months now. It’s become such and integral part of my daily computing experience that I don’t think about it. The reason I don’t think about it is because it’s a trouble-free product and the experience is totally natural. I think this is probably the high-point of any product or service; the ultimate benchmark for quality and usefulness. When something is so good you totally take it for granted an forget about it. That’s when something is truly valuable. Another example of this phenomena is with my hosting company. I really put a lot of time into researching what host to use for my product, but no matter how great the deals were at competitors, no matter how good the reviews where, I still had to deal with a nagging truth in the back of my mind. I have never had to think about my current host. I don’t think about them because they are so good that I forget about them. Because of that, I stuck with them and I’m glad I did. I’m not sure what this means, but it seams like there’s a pattern here. While not every product is best forgotten, there are some things in life you just don’t want to think about (like web hosts and file syncing) and when you don’t have to think about them, you probably found a good one. What do you think? A few of us at the Tornado office were having fun with Auditorium. It’s a sort of auditory game where you have to direct these light beems using directors. Hard to explain but tons of fun.